The Affordable Care Act requires all American citizens to have health insurance coverage or pay a penalty called "the shared responsibility provision". Here are answers to questions about the law that AARO has received. For more detailed information, go to www.healthcare.gov, or contact your tax advisor. 1. I live overseas and don't need US health insurance. Do I have to pay the penalty? Physical Presence Test: You are not physically present in the United States for at least 330 full days within a 12-month period. Bona Fide Resident Test: You are a bona fide resident of a foreign country (or countries) for an uninterrupted period which includes a full calendar year. In general, this means that you qualify for the foreign earned income exclusion under section 911 of the Internal Revenue Code. 2. I am retired and have no foreign earned income. I live overseas most of the year, but some years I spend more than 35 days in the US. I am enrolled in Medicare Part A. How does the law affect me? You comply with the law. Medicare Part A provides the minimum essential coverage required by the law. 3. I am retired, have no foreign earned income, live overseas, and spend more than 35 days in the US each year. I am covered by the health insurance system of my country of residence, but not by Medicare. How does the law affect me? Because of the length of time you spend in the US each year, you are not exempt from the requirement to buy US health insurance unless you satisfy the IRS “bona fide resident” test discussed in #1, above. You should discuss this issue with your tax advisor. 4. 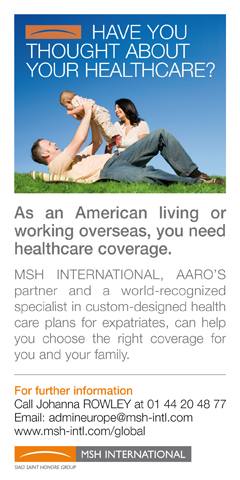 I spend part of the year overseas and don't want to maintain my US health insurance while I am out of the country. You may qualify for the short-term coverage gap exemption. No tax penalty is due if you go without US health insurance coverage for three months or less in a calendar year. You are only entitled to one short-term coverage gap exemption each year. 5. I am moving back to the US. I will not receive health insurance through an employer and I do not have Medicare coverage. Where do I buy health insurance that satisfies the law? Insurance may be purchased through www.healthcare.gov during the annual open enrollment period at the end of each year. The next open enrollment period is November 1, 2015 through January 31, 2016. Under special circumstances, you may purchase insurance through the health insurance exchange outside of the open enrollment period. Moving back to the US from overseas is generally considered a special circumstance, but you should confirm this with the state you are moving to. If you do qualify for a special enrollment period, the insurance must be purchased within 60 days of the date of your return. If not, you will have to wait for the next annual open enrollment period to purchase insurance through the health insurance exchange. You may purchase insurance outside of the exchange from insurance companies and insurance brokers. But buyer beware: Insurance purchased outside of www.healthcare.gov may not satisfy all of the requirements of the ACA. The insurer could, for example, exclude coverage of pre-existing conditions. 6. My “tax home” is overseas, but I would like to visit the US periodically for medical care. May I purchase insurance through www.healthcare.gov to cover me while I am in the US? No. According to www.healthcare.gov, you must be a tax resident of the US to purchase insurance through the government health insurance exchange. You may purchase insurance outside of the exchange from insurance companies and insurance brokers, but that insurance may not satisfy all of the requirements of the ACA. For instance, pre-existing conditions might not be covered, and there may be caps on certain kinds of expenditures. 7. How do I inform the US government of the fact that I fall within one of the exemptions to the ACA? File IRS Form 8965 as part of your annual US tax return. 8. The ACA is financed in part by a 3.8% tax on some types of investment income of individuals whose incomes exceed certain thresholds. As an American whose tax home is overseas, must I pay this tax? Yes. Note that the tax applies only if your “modified adjusted gross income” exceeds the thresholds set forth in the law ($250,000 for married couples; $125,000 for married filing separately; $200,000 for singles), and that only certain types of investment income are subject to the tax. For more information, see http://www.irs.gov/uac/Newsroom/Net-Investment-Income-Tax-FAQs. newsletters, videos and other benefits! Not an AARO member yet? Here's how to join!